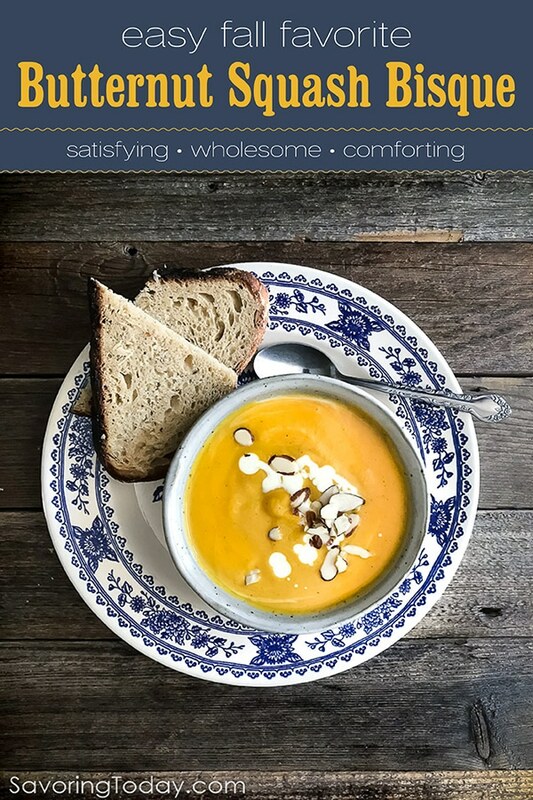 Roasted Butternut Squash Bisque is an easy fall soup recipe with a nourishing lineup of ingredients that are truly satisfying. This velvety soup is perfect for chilly evenings when you need something hearty, but not heavy. Savory-sweet roasted butternut, silky cream and the combination of baking and curry spices create dynamic flavor in this fall soup recipe. We love it for its versatility and ease—sometimes I go more curry-forward-with-a-kick from chili powder, or lean more on a fall profile of cinnamon and nutmeg. Roasting the squash makes all the difference. 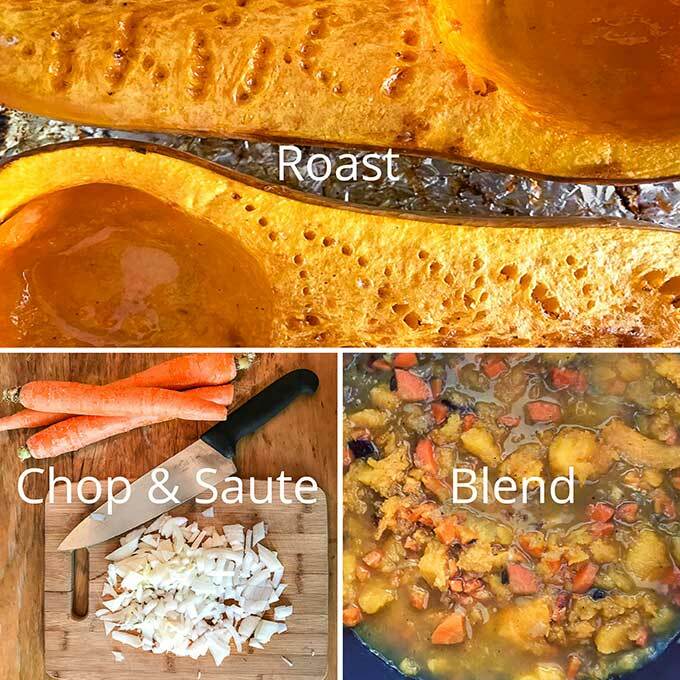 Roasting squash helps to release moisture, allowing the sugars to caramelize, which deepens the flavor. Brushing oil over the squash midway through roasting helps it brown evenly. Thinking about adding garlic? I tried to include roasted garlic in this recipe but it ended up overpowering the squash flavor entirely. While the recipe is flavor-full, each element is delicately nuanced and struggles to stand up to garlic’s big personality. A little bit goes a long way if you absolutely must. Time-saver: Peel and cube the butternut squash before roasting or purchase already cubed squash. Toss with oil until coated and roast for 30-40 minutes until fork-tender and edges begin to brown. Check here for How To Peel and Cut Butternut Squash. —even top it with a swirl of cream—and pop it in the freezer. It’s a fabulous grab and go lunch. Make butternut bisque vegan or dairy-free with coconut cream and vegetable stock—it’s just as delicious. Like it a little sweeter? Sub apple for the carrot in the soup. Use sesame oil to saute the onions and carrots mixture in STEP 2 and change up the garnish with fresh cilantro and chopped peanuts in STEP 5 to invite more Asian flavor. Butter, olive oil, bacon grease or duck fat create subtle flavor profiles all their own. Heat oven to 375°F. Halve butternut squash and scoop out the seeded cavity with a spoon. Use a fork to poke holes in the open face of the squash. Slather with 2 tbsp coconut oil - leave a small pool of oil where the seeds used to be. Line a rimmed baking sheet with foil or parchment and place squash face side up on baking sheet. Depending on the size of the squash, let it roast for 1 hour to 1 hour 20 mins. About 45 mins in, I like to take it out and brush the pooled coconut oil over the whole face of the squash. It’s done when you can easily stick a fork in the flesh. Remove from the oven and let it cool. While waiting for the squash to cool, heat 2 tablespoons coconut oil over med-high heat in a 6-quart pot. Saute the onion, shallot, carrots, spices, salt, and pepper; saute 6-8 minutes until tender. You can test this with a fork. The carrots may take a bit longer than the onions and it's going to smell REALLY good. Once cooled enough to handle, scoop the butternut squash out of its skin and add it to the carrot and onion mixture. Cook for another 5 minutes, stirring occasionally, before adding the stock. Add the stock, bring to a boil, and then reduce heat to simmer for 10 minutes to integrate all those lovely spices. Carefully transfer the soup to a heat-safe blender or food processor to puree the soup, or use a hand blender to blend the soup right in the pot. Puree the soup until completely smooth and then pour it back into the pot. Stir in the cream and taste. Season with any additional salt, pepper or spice adjustments you may want--sometimes I add more curry powder or chili powder for a kick. Ladle into bowls and garnish with an extra swirl of cream and sliced almonds. Use coconut oil, coconut cream, and vegetable stock to make this recipe vegan or dairy free, and its just as delicious. 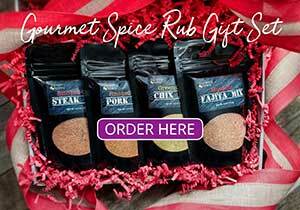 Simply Organic Spices is recommended if you don't already have a favorite chili or curry powder. 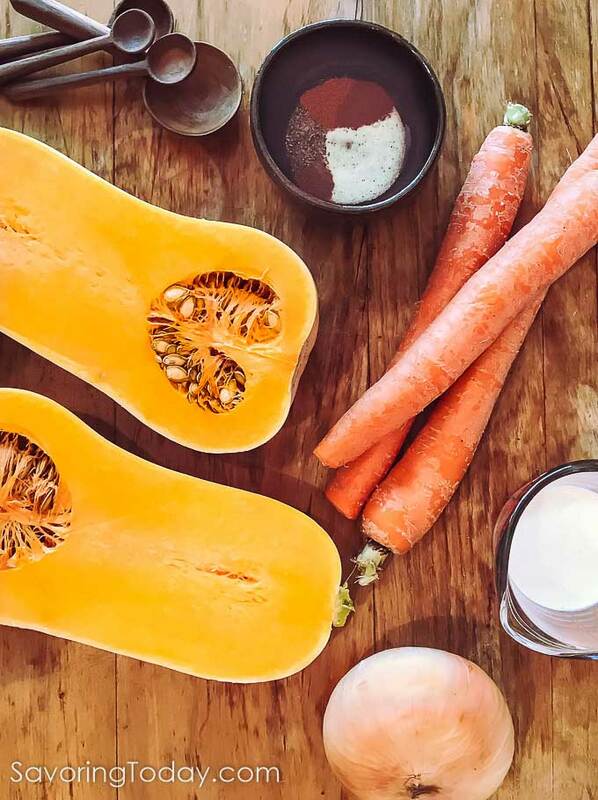 Roasted Butternut Bisque ingredients — so simple! This soup is so vibrant and comforting looking! I’ll have to add it as a side dish recipe for the holidays. While we don’t have chilly weather, I would still enjoy a bowl of your soup. Winter squash is so good! And I love it roasted. And in soup. 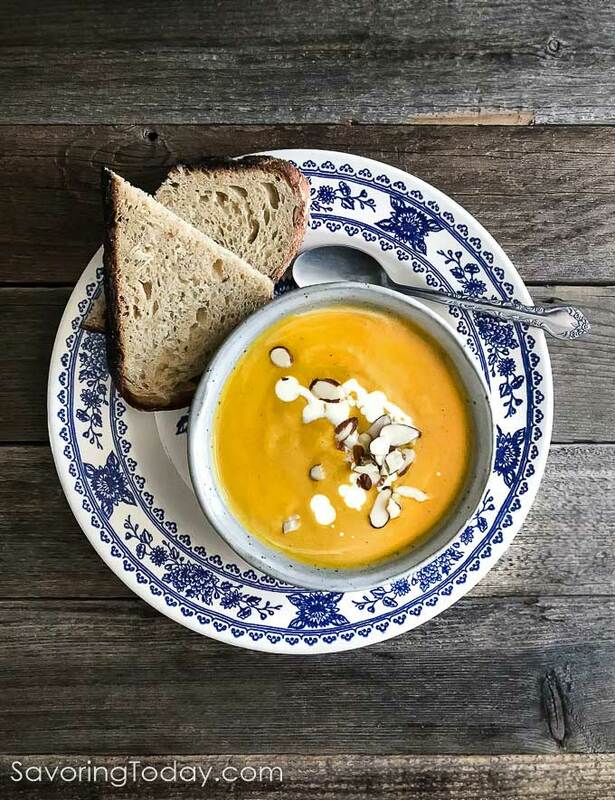 Great idea to used roasted squash in soup — bet it has terrific flavor. This looks excellent — thanks.